an update about the Dipavali gift that VedAroma gave to the two Full-Time Creating Coherence groups in the USA and to the Faculty and Staff of MUM. 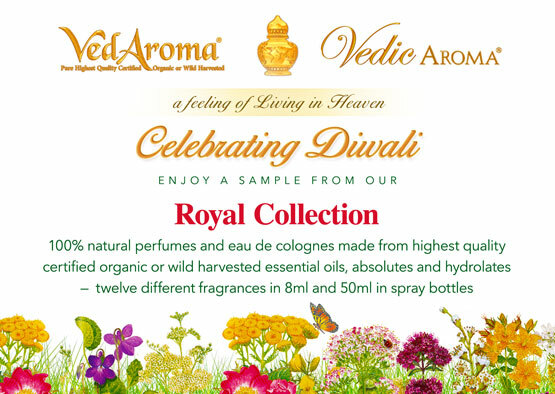 The VedAroma Team Leader writes: First, we shipped all the 8ml Royal Collection perfumes and boxes to Maharishi Vedic City where my sister and I went thru them all. Then we labeled and boxed them, put them in cello bags and attached a very pretty card – wishing everyone a Happy Dipavali with love from VedAroma. Two Full-Time Creating Coherence ladies helped us boxing the perfumes and they and another helped us to pack up the pallet that went back to our fulfillment center. And SO many of the Full-Time Creating Coherence ladies in Maharishi Vedic City had many, many beautiful comments saying how much they appreciated receiving these gifts and how much they love the fragrances. I am attaching photos of the boxes of VA products that we offered to The Faculty at MUM, a fun photo of us creating the pallet along with the cards we attached to the gifts. 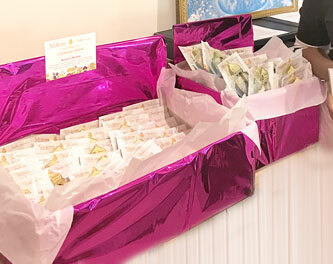 So much bliss was created from this precious, thoughtful, generous gift and we just wanted to share this with you! With so much appreciation for all of your love and support for this precious project. 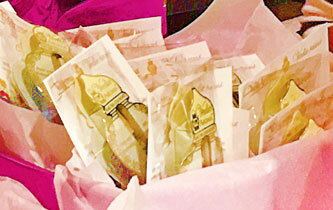 I’m sure everyone who gets those perfume gifts will be overflowing with joy too and will be eager to share their joy with others. And thus many more people will know about those beautiful products!